Although they aren't in dire need of help at any one position, they may still look to parlay their depth and prospects it helps them continue their winning ways in the postseason. It's no secret that the Penguins are listening on goalie Marc-Andre Fleury, and have kicked tires on Gabriel Landeskog, among other names. Who else would they be willing to part with? 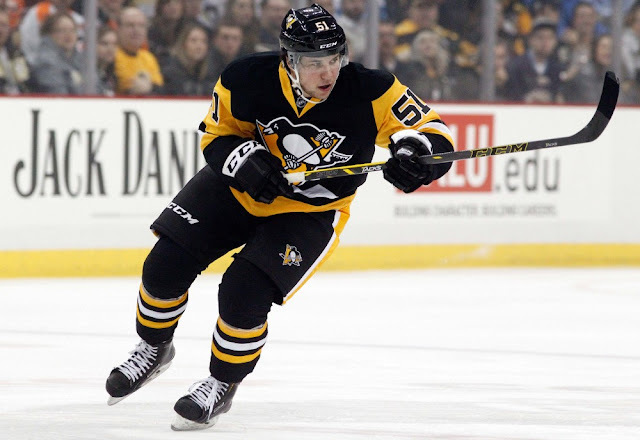 According to one report, defenseman Derrick Pouliot is a player the Penguins are willing to move in the right deal. Pouliot has been a darkhorse trade candidate for several years, having struggled to crack the Penguins roster for any stretch of time. With just 63 NHL games under his belt since being drafted 8th overall in 2012, he might be ready for a fresh start.